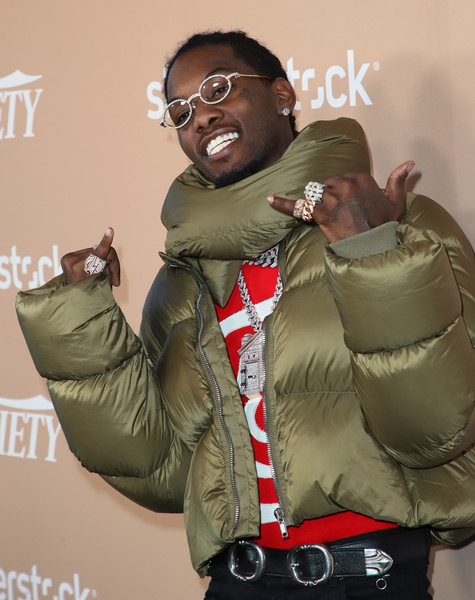 When it comes to men showing vulnerability, Offset says it can go two ways. He says when you do it or when you don't do it, it's something wrong with it either way and that's why men don't like showing their softer side. The Migos rapper - who released his debut solo album Father of 4 last month - stopped by the "Ellen DeGeneres Show" to explain why he put his heart on his sleeve for the world to see. 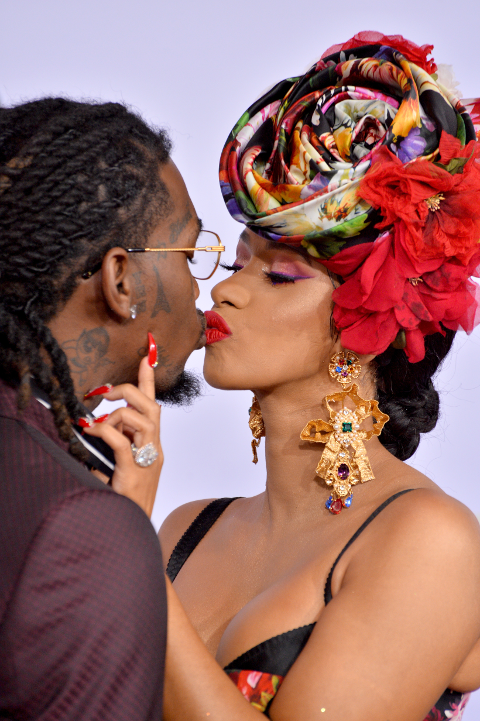 As we all know, Offset and Cardi B got together, almost broke up due to getting caught in a hotel room with another chick while they were engaged, got married and then officially broke up after cheating allegations surfaced (again). After Offset took to his Instagram account to publicly apologize to the "Money" rapper for "entertaining" other females, he crashed her headlining set at the Rolling Loud Festival in LA. It was a historical moment in Cardi's career as she was the first woman to headline the festival. People felt like he was acting out selfishly by crashing her set, making it about him. However, he wants everyone to know he did it because he loves her. "I step to it as a man and say I'm wrong. And you don't have to take me back, but I just want you to know I love you and I care. I'm putting it all out on the table." He said he asked her to marry him during a show in Philadelphia in front of 60,000 people and folks were questioning why he would propose in front of all those people. "It's just my affection showing I'm not hiding it. I'm not hiding my affection from you. Me being vulnerable I guess. It kinda bit me with the response of people. But that's why our men don't be trying to be vulnerable because when you do it...there's something wrong with it either way." He has a point. But there's limits to everything. And stalker and harasser vibes are just that. At the end of the segment, he brought out his son who was carrying a $25,000 to donate to Ellen's foundation because he likes the philanthropic work she does in Africa. The "Lick" rapper opened up about his struggles with his relationship with his estranged father and he talked about the car crash that almost took his life. Peep the clip above. The wrap up the episode, Offset was joined by Travis Scott to perform. His episode airs today. Check your local listings for the time. It's being reported Offset and Cardi B's security team will not face any charges after an alleged assault on an "autograph hound" at last year's Met Gala. And now, the case has been closed. Sources tell TMZ the alleged victim, Giovanni Arnold, refused to be interviewed by NYPD detectives. As you know, the beatdown was caught on video and went viral online. He filed a https://theybf.com/2018/05/20/offset-shares-bloody-photos-of-car-crash-a... ">lawsuit against the rappers in July 2018 after he was beat up for asking the "Please Me" rapper for an autograph outside the Mark Hotel following the Met Gala. The criminal lawsuit has been closed, however, a fan named Daniel Szalkiewicz reportedly still has a pending civil suit claiming that he suffered injuries to his face, neck, back and body. Hey! We want to hear your thoughts on Offset's reasons why he decided to publicly try to win back Cardi B. Directly below, sign in to our brand new VIDEO & AUDIO COMMENTING widget called Yappa. Talk to us & each other! NEXT: Pastor John Gray's Alleged Mistress Claims Their Affair Was MUCH More Than 'Emotional,' Whips Out Receipts!